Zainab….was an outstanding girl, born in 1991, orphaned at an early age. Her mother was trying hard to care for her and her younger brother. 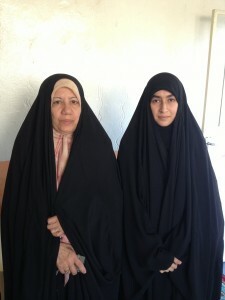 They were living with other relatives in a small room within a small house in Najaf, south to Baghdad in Iraq. Hardship, poverty and wars struck most families in Iraq since 1991 until today. The pain that Zainab and her family have suffered was too overwhelming to be contained in a 12-year old heart. The girl was full of dreams about her future. Zainab was an intelligent, shy, quiet girl. She passed all her exams each year with distinction. After the change in Iraq in 2003, World Wide Welfare was the first charity in Iraq to start an Orphan Sponsorship Project to support orphans in continuation of its work with the Iraqi refugees since 1993. At that time there was a large number of orphaned children due to wars and the brutality of the Iraqi regime. In October 2005, Zainab joined the Orphan Sponsorship Project of World Wide Welfare, when she was in her second intermediate year. During these years, Zainab was working very hard at school; securing a place for admission into Bachelor of Pharmacy in Kufa University is a great achievement for this youngster haunted day and night by hardship and poverty. Her younger brother left school early to work in the Bazaar to support his sister and his mother. In addition to the support from a sponsor via World Wide Welfare, finally Zainab found her dreams come true. In November 2012, Dr Bayan Alaraji in one of her trips to meet the orphans in Iraq, met Zainab and her mother at their house in Najaf. Zainab was in her third year in Kufa University studying Pharmacy. In two years’ time, she will be graduated from the University to work as a Pharmacist in Iraq which is a great achievement for Zainab. On behalf of Zainab and her family, World Wide Welfare would like to thank all the sponsors who supported Zainab in her study to reach this stage. World Wide Welfare policy is to support all talented orphans who reach beyond the age of 18 to continue their education. Misery, neglect, orphan hood, disability are common factors tying the children of post war Iraq, whose parents were killed in the furnace of consecutive wars, suffering from all kinds of sorrow and deprivation from care, attention and proper fundamental upbringing. It has been a while since military operation seized in Iraq, yet the Iraqi child continues to witness horrible blood scenes turning out to be first victim. Sahib, a twelve year old Iraqi boy in year six, makes his way to school in the morning, the school he had always loved and had blooming dreams of a prosperous future. His mother, filled with this daily fear her son might not make it home safe because of terrorists attacks, said good bye. Sahib Abbas, a youth, got into the same taxi that collects him to school every day with his peers in the morning of 1st November 2009 in Karbala city. Fate was awaiting those students on the road. The car that took them exploded and bodies and dreams were scattered. Some perished may God extends His mercy upon them. The explosion caused severe injuries in Sahib’s right leg and shrapnel in the skull, nose fracture and injuries in the ears. Finally Sahib had his right leg amputated. Following this he was taken to hospital and had a number of operations. Sahib was no longer mobile. Since that day he could not play with his friends. He stayed in hospital for a year getting treatment. Doctors advised that gets fitted with an artificial leg so he could walk. Sahib’s family resorted to governmental authorities and religious bodies to help them with the exorbitant expenses of getting him a leg in Jordan, as these facilities are not available in Iraq. All what the authorities answered was: ‘Wait’. Sahib and his family waited long. Promises were prolonged and fruitless. His mental state, and his family’s, was aggravated. All that was left for them to do was to follow their friend’s advice and knock at the doors of charities. Yet still no satisfactory answer apart from World Wide Welfare. This charity called upon generous donors who answered a human call. They paid for passports, visas, and the trip to Amman and the first operation. Sahib and his family returned from Amman happily with smiles on the faces. A temporary artificial leg was fitted, his attending doctor advised him to practice on this leg for six months. But he would still need a permanent leg to accommodate his growth. The family now is in another dilemma!!! Where would they get the money for the second permanent leg?? God bless them and another sum was raised in a charity night on 12th March 2012 to help Sahib get fitted with the permanent leg. The family went to Amman two weeks ago. He had a surgical operation on his nose which was fractured as a result of the explosion. And this was causing difficulties in his breathing. And the second artificial leg was fitted, a permanent leg that will adapt with his growth in the future. 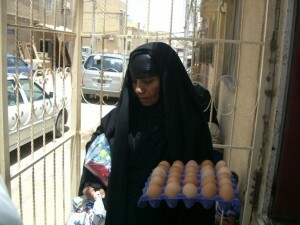 World Wide Welfare thanks all the generous sisters and brothers who left Iraq but their hearts remained there. While living overseas they think of the Iraqis pain and suffering. We value their donations to World Wide Welfare taking part in fulfilling its humanitarian projects. 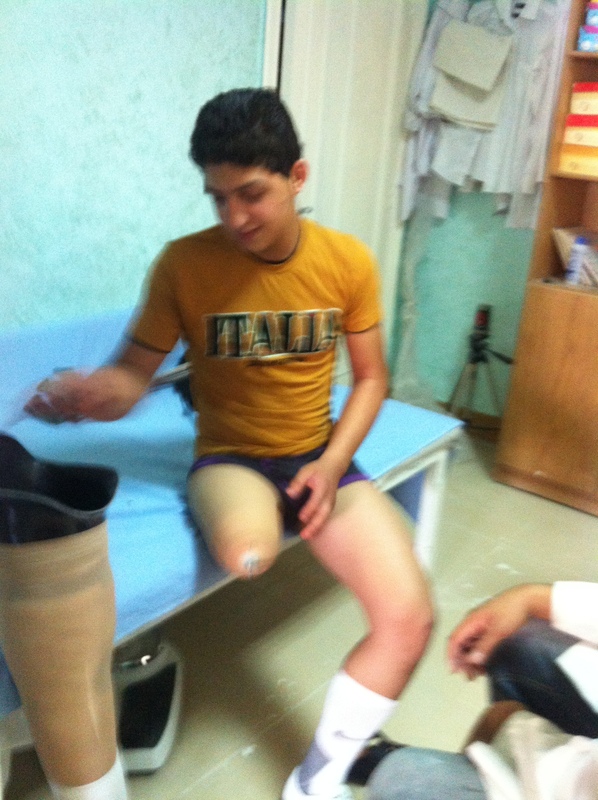 We also thank all those who gave away donations in the charity night on 12/03/2012 which enabled the charity to cover the expenses of fitting the permanent artificial leg to the youth Sahib Abbas two days ago on 13th July 2012, to be exact, in one of Amman’s hospitals. This is a photo of him wearing the new artificial leg fitted by his attending doctor. You can see happiness on the face of the injured and his family. Dr. Bayan Alaraji on behalf of the trustees of World Wide Welfare: Mrs. Niam Alawi, Mrs. Sundus Latif, Mrs. Thuraya Al-Sarraf, Dr. Zahraa Latif. The WWW Charity Gala Dinner “Dinner in the Park.” Come to an exquisite 3-course family dinner in the newest and most exciting hotel; The Waldorf Astoria, in the heart of Syon Park. 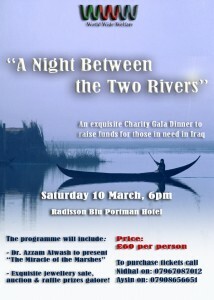 This will be the perfect opportunity for you to help and support orphans in Iraq. We will start with a wonderful JEWELLERY EXHIBITION of beautiful hand crafted adornments by TOP DESIGNERS as well as beautiful decorative items from the Middle East. Not to mention we will be having an incredible RAFFLE and AUCTION with fabulous prizes and pieces!! 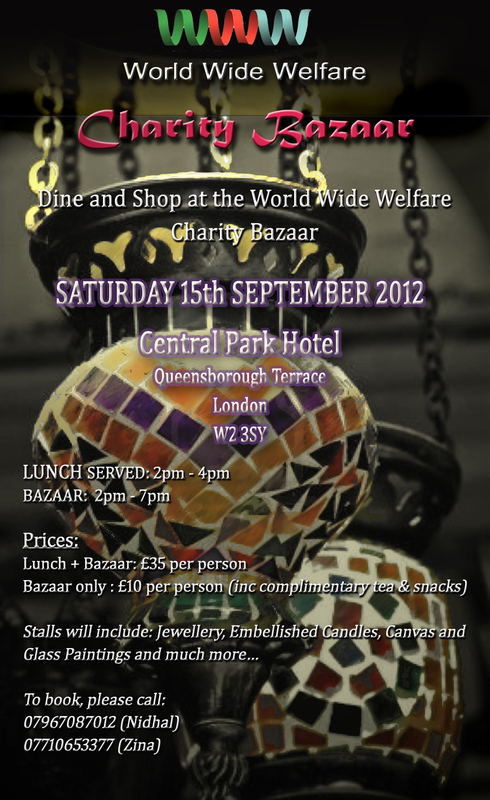 Held to raise funds for those in need in Iraq as well as showcasing what Iraqi businesses have to offer. From 2-4pm, we will be serving a buffet lunch for all guests (ladies only) at a ticket price of £35, in which you will also have a chance to purchase any goods first-hand from the Bazaar. Following this, from 4-7pm, the event will be open to anyone at a reduced ticket price of £10, for visiting and purchasing from the bazaar only (this will include tea and a light snack). Stalls will include: Jewellery, Embellished Candles, Canvas and Glass paintings, Silverware, Antiques, Egyptian Pashminas, Chinese Pearls and much more…. Held to raise funds for those in need in Iraq. 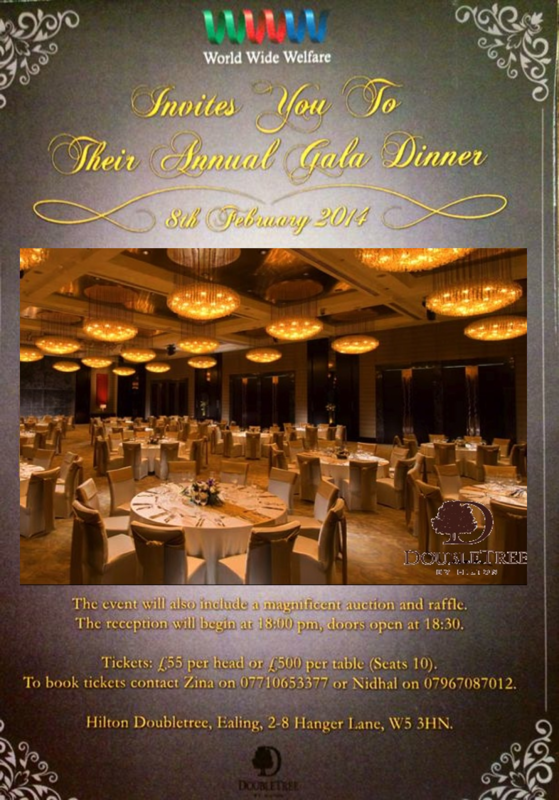 A Dazzling Auction and Raffles Galore! See attachment for further details. The evening programme includes a 3 course meal, entertainment, auctions, Swarovisky gift distributions, and more. years. The size of her living area is 2m x 2m x 1.5m. Whenever she gets up her head bangs into the ceiling. This woman is tired of being in fear and pain in her life. She doesn’t recognise cold weather or hot weather during all these long years. She lives on very little help from her neighbours. 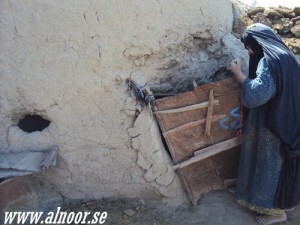 On many occasions she couldn’t find anything to eat and is desperate for food, as all the people around are also very poor. When the appeal was raised World Wide Welfare took action by responding to the urgent appeals from other organisation on the ground and visited her to see her condition. She was very scared; the place she was living in was far from a human habitat. The appeal touched the hearts and minds of people supporting World Wide Welfare projects. Food and cash assistance was given to her immediately. Some cash was also allocated to build a room suitable for a human being, household appliances, blankets, clothes and a fridge was donated to her and other people managed to get her electricity. 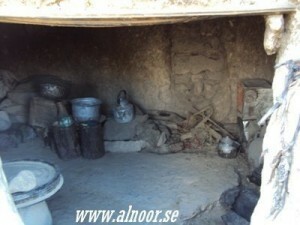 After a few days the building of the room was completed and her condition improved dramatically. With a little help from many people we managed to change the life of this woman for the better. World Wide Welfare projects are making a real impact on the lives of many poor families. Raised funds help other poor people like this woman mainly with food parcels and blankets which were in high demand. Please donate to support our development projects. 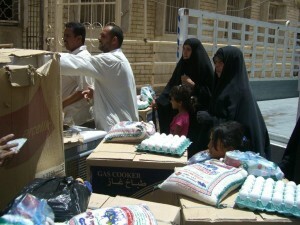 1904 families from 11 provinces in Iraq received assistance during the months of May, June and July 2010. It was the greatest distribution ever done by World Wide Welfare to the needy families in Iraq. All thanks go to contributors and donors. 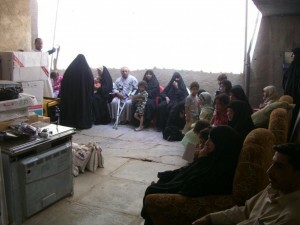 The number of widows and orphans is increasing in Iraq as a result of the deteriorating security situation. Failure of the government to provide basic services to the people makes it very difficult for poor families to survive. The number of widows is estimated at one million, the number of orphans is four million and the number of disabled is one million according to government figures. One of the projects of World Wide Welfare is to give cash assistance, distribute household goods and basic food baskets to the poor and needy families. Each family received cash assistance and a basic food basket which consists of 5kg rice, 5kg sugar, 2kg tea, 2kg lentils, 2kg chickpeas, 2kg beans, one tin of tomato paste, one or two chickens according to the size of the families and 30 eggs. Household appliances such as air coolers, refrigerators, cookers and other appliances were distributed according to the needs of the families. 1282 families received different new garments. 1904 received the food basket described above. 504 families received an air cooler. 143 families received a Television set. World Wide Welfare also supports education projects; 22 gifted university orphan students from different provinces were awarded a PC and 25 other gifted orphans from different schools were awarded bicycles and others toys. One very important project adopted by World Wide Welfare is to help poor men and women with marriage expenses; 25 newly-wed couples were awarded 1,500,000 Iraqi Dinars to help with their marriage expenses. All the transport and travel expenses were paid by the charity. Free meals were given to all the families who attend on the distribution days. World Wide Welfare would like to thank all people who donated generously which made our mission possible. 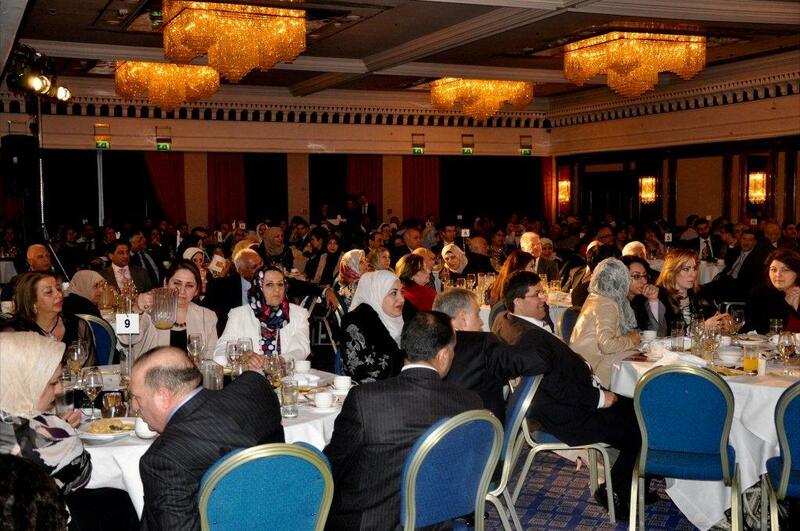 My dedication goes to the main donors to the charity who are Iraqi families living abroad and especially in the UK. World Wide Welfare operates on zero admin cost since 1993 and helps thousands of poor and needy people in many countries through projects covering education, humanitarian relief, medical assistance, basic food basket, orphans sponsorship, widows and disabled sponsorship. If you like to donate to one or more of these projects please press donate now. Your help will make a difference. Thank you for your generosity.